Your Canadian source for MotoGate ATV Tailgate Nets and other Moto-Gate ATV & Motorbike products such as Greaser work Gloves and Motorbike & ATV Tie Downs. All MotoGate Tailgate Net and Work Glove products are shipped from Canada so you don't have to worry about import charges. 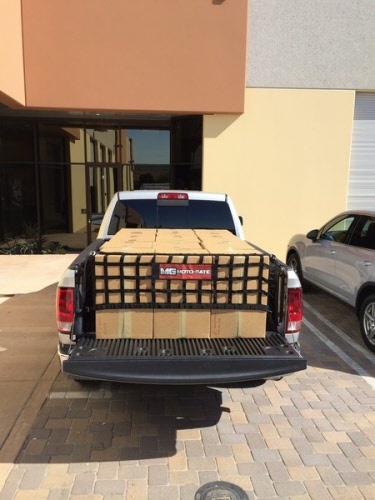 All Moto-Gate Tailgate Net and Work Glove products is typically in stock so your MotoGate order can ship within 24 hours and will take from 1 to 3 days for delivery to most locations in Canada. Also, if you do need to return a MotoGate Pickup truck tailgate net or ATV or Motorbike product you won't be faced with an additional brokerage charge for returning to the USA because we are located in Canada. Shipping is $19.95 for orders under $100 and free on orders of $100 or more. 17” X 54” Nylon net with 10”-39” adjustability on each side. (Max. Length = 132", Min. Length = 74") Fully adjustable load restraint. Many uses to keeping your equipment secure. Eliminate cargo shifting. Great for all trucks, vans, and suvs. Easy on! Easy Off! Easy Storage!. For performance, protection, and value, no matter where you are. 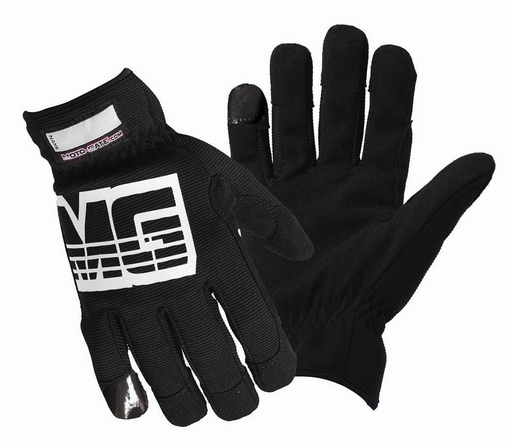 The MG Utility Work Glove is the perfect fit! Features a rubber coated pinky finger for grease application. The Jug Snug is the first and only universal and removable jug restraint system. 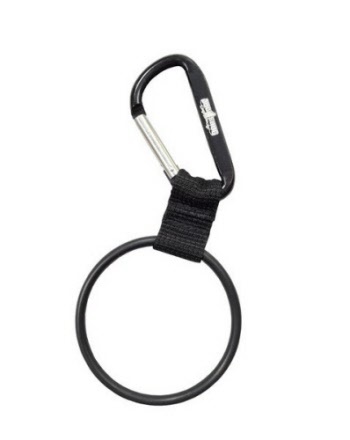 Featuring a 3" rubber O-ring on one end and a carabiner on the other. The Jug Snug keeps your jug secure in all scenarios. Apply 3" O-ring below jug thread line. 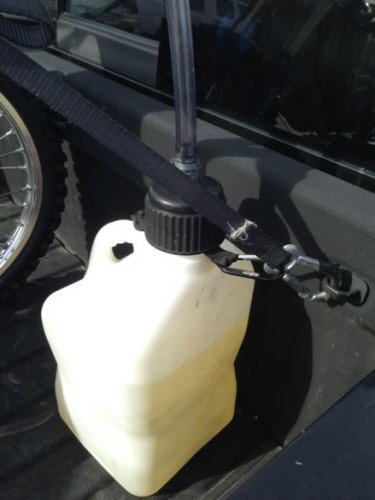 Use provided carabiner to secure jug. The Jug Snug is the first and only universal and removable jug restraint system. Featuring a 3" rubber O-ring on one end and a carabiner on the other with a 10" adjustable strap. 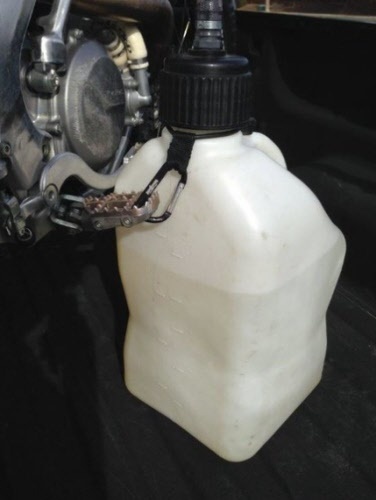 The Jug Snug keeps your jug secure in all scenarios. 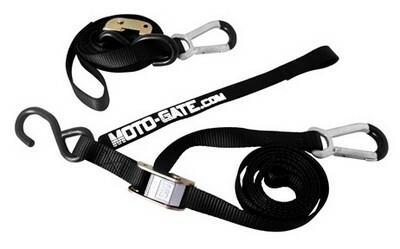 Moto-Gate has designed an innovative solution to securing your Motorbike and ATV products. 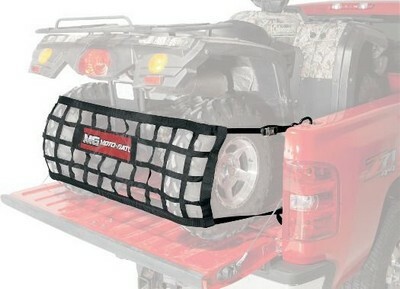 Their patented Moto-Gate Tailgate Net installs in the back of your truck bed and is designed as a net to hold your Motorbike or ATV inside your truck bed while also securing the rest of your truck bed's load. 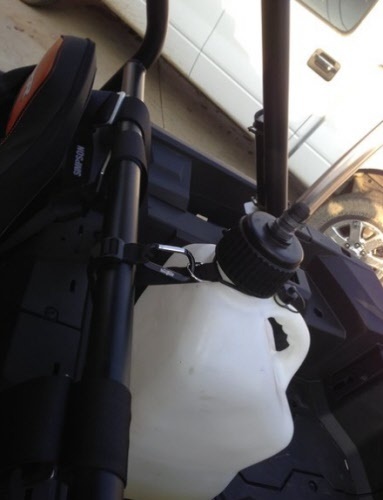 The fully adjustable net design makes strapping your motorbike or ATV into the bed of your truck an easy job. They also have their great Greaser Work Gloves with a rubber coated pinky finger for checking your motorbike or ATV fluid levels without ruining a pair of work gloves or leaving a mess on them. 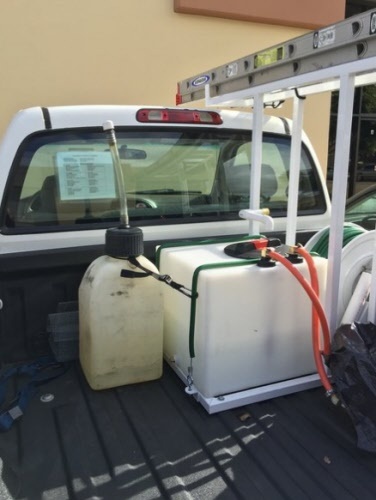 Their newly released Jug Snug is designed to secure your fuel cans in the back of your truck with a secure strap preventing them from sliding around in the bed of your truck or tipping over and spilling. 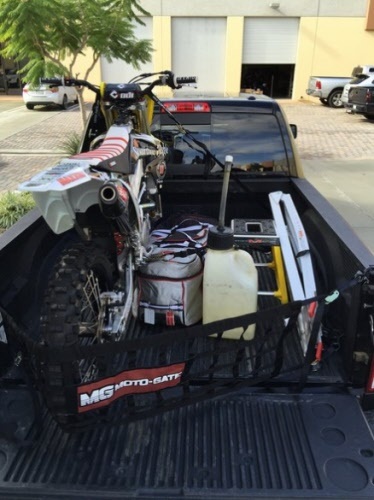 All of Moto-Gate's products are designed using the best quality materials for a lifetime of use with your motorbike or ATV. 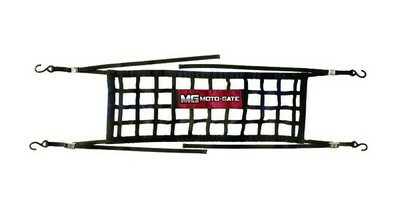 Try a Moto-Gate Tailgate Net and you won't be disappointed. 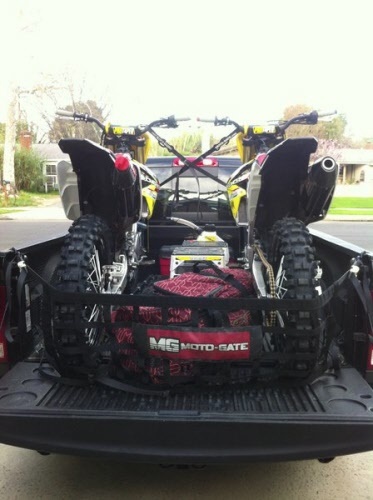 This site is the Canadian source for Moto-Gate Tailgate nets and Motorbike and ATV products and is operated by Super-Bee Truck Accessories. We are proud to be the official Moto-Gate Canadian Supplier and offer the same warranty and products as the USA MotoGate site.